October 5, 2018| Maple Lawn, MD Maurice Offit will be speaking at the 33rd Annual Personal Financial Planning Conference hosted by the Maryland Association of Certified Public Accountants. The conference is for CPAs who are financial planners and business consultants and advise their clients on retirement and financial planning issues. Mr. Offit will discuss The Estate Administration Checklist and the important steps that need to be taken to properly administer the estate of a loved one. Attendees will also hear from additional speakers who will discuss topics including estate tax, insurance, retirement planning, investments, divorce, and more. The conference is October 23rd from 8:00am – 4:10pm at the Sheraton Hotel in Towson, MD. To learn more about the event and to register please click here. MACPA’s core mission is to help our members CONNECT in strategic ways, PROTECT their professional interests, and ACHIEVE in their careers. So, we tailor our core member benefits around those ideals. Our hope is you find MACPA membership a vital investment in your career success – one in which you will see immediate returns in all aspects of your business. 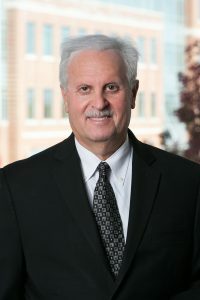 Maurice Offit is an estate planning and asset protection planning attorney. Mr. Offit counsels a large number of clients who share an interest in minimizing estate taxes and protecting their assets from the claims of creditors. Mr. Offit has more than thirty years of experience with a focus on estate planning, estate and trust administration, and asset protection planning for his clients. While no two plans are exactly alike, Mr. Offit makes sure that they have one thing in common – they meet with the client’s satisfaction and approval.